This Saturday I am pleased to be taking part in a great charity football event. Northern Leagues United is the brainchild of Michael and Andy Hudson (follow them on twitter @DolphinHotel and @HuddoHudson) and follows on from their successful Northern League Day which I blogged about here. but in simple terms there are two key aims. Firstly to raise funds for a community football club in Japan - Cobaltore Onagawa - the focal point of a town called Onagawa, devastated by a 15 metre tidal wave from the tsunami in March of this year. 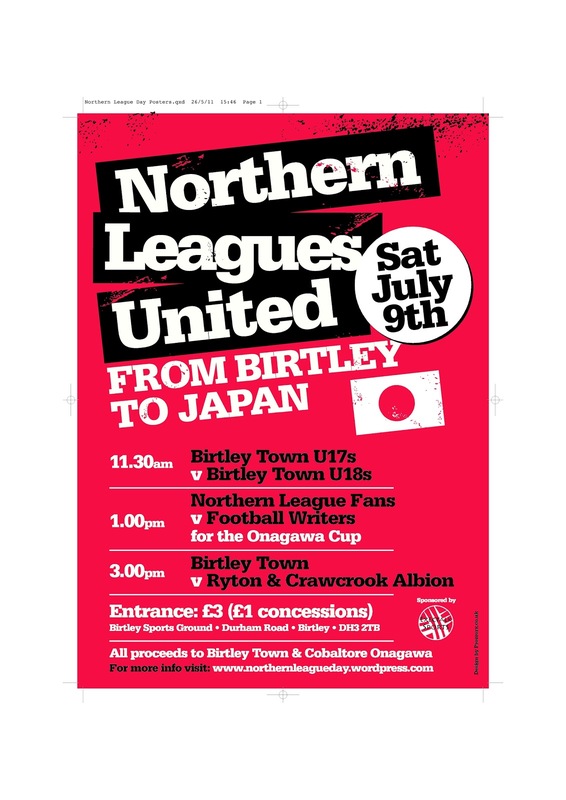 The second aim is to continue to raise awareness of grassroots football and the importance of community clubs over here, such as Birtley Town who are hosting the day's proceedings. Birtley Town is a local football club which, despite having no major sponsor, has an FA Charter Standard award for its work in the community and maintains youth teams at every age group. As well as the three games detailed on the poster above (I'll be turning out for the Football writers at 1pm), Saturday also marks the official opening of a new volunteer-built clubhouse at the ground. There are plenty of other things taking place including a fundraising raffle, an appearance by the FA Vase trophy and anyone attending is asked to volunteer a scarf to decorate the new clubhouse. Three games of football (including one of varying quality between 1 and 3pm) all for £3. If you are in the area or can attend from further afield, please do. There is surely some comedy value in seeing a team of guys who are used to seeing Caps Lock potentially seeing their Knee Caps Lock as they skew a hopeful punt forward towards the railway line. 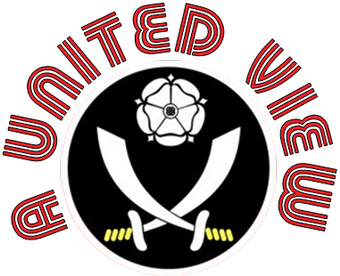 I'll report back on Northern Leagues United next week.